Now when I click left nothing happens, when I right click I get the option to enable the adobe but nothing does either. I have the site added to the list of allowed within the flash settings. Also I have the latest version of the flash (just download it again). @fclstudio Try adding the site as an exception. Thank you for the response, but as it is written I have already done it and that same message comes out. @fclstudio And some example pages where the problem happens would be...? Only that it requires registration to see that tab, the rest of the pages are of that type and with those characteristics. @fclstudio Adding helpx.adobe.com to the list of exceptions helped here. 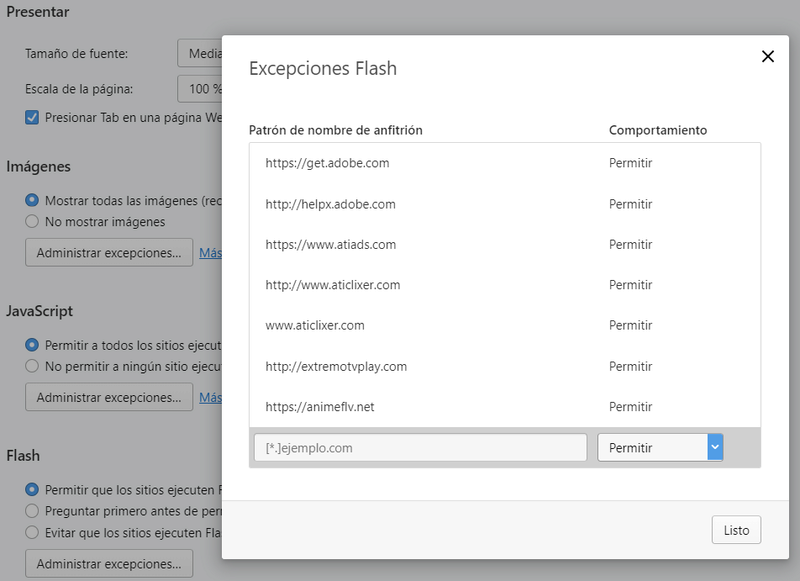 I leave a snapshot of everything I have in the list of exceptions, as you can see are the pages of adobe and the sites that I visit that the Adobe flash player does not work either. @fclstudio Try removing the http part of the address. I did it recently, it still does not work. @leocg Now we are 2 with the same problem. Could you help us? Not sure what the problem is that you are talking about. @fclstudio No, I can't. Sorry. @leocg And now what do I do? I stop using opera? @Ceedee I'll try to explain myself better. Download the flash again and install it. 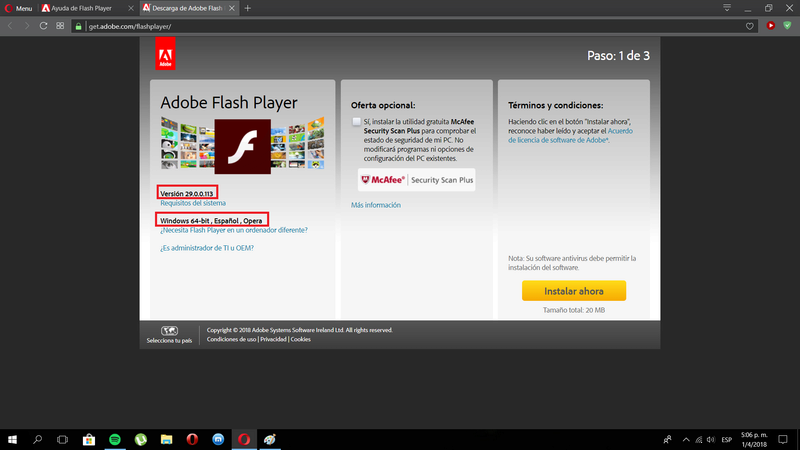 Here is proven that I have the latest version of both the opera and flash. Here you can see that I have it activated and in the list of exceptions you can see: www.atiads.com, https://www.atiads.com and atiads.com. All three as allowed. 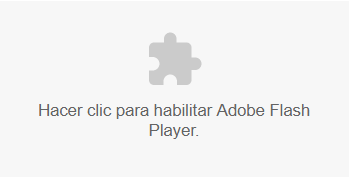 If I right click on the "graphics" it tells me to enable flash player, I give it to enable, nothing happens. I reload the tab and do this sequence as many times as I want and nothing happens. I do not know what other information you would like it to give. @fclstudio You wait for someone to come here with a possible solution? 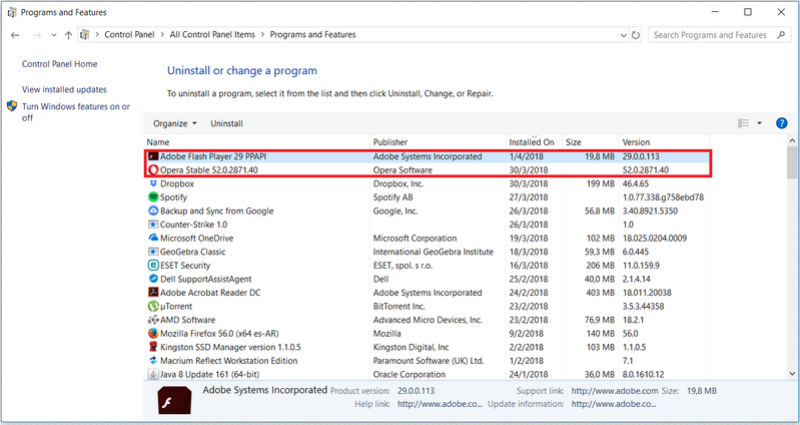 You try to find out what may wrong with your Opera installation? 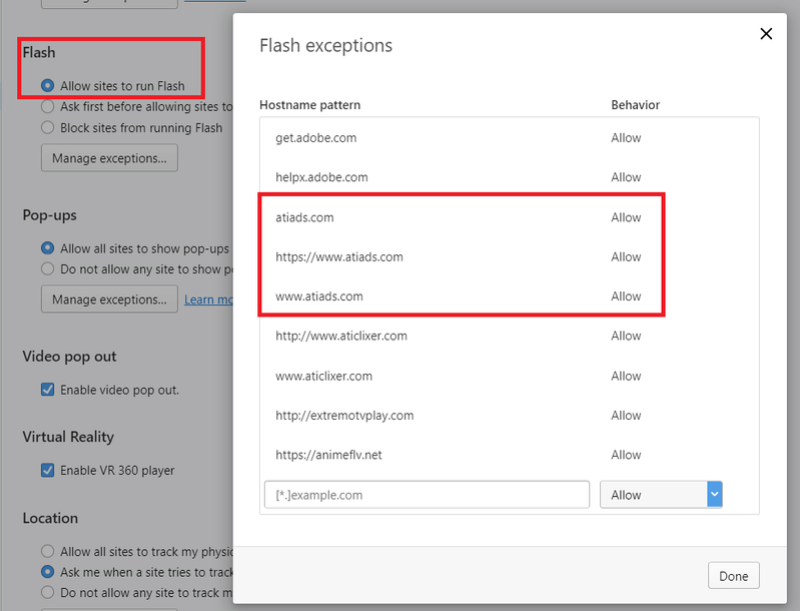 You change your Flash settings in Opera? @ceedee It's not the only link on the post, there are the Adobe ones too.